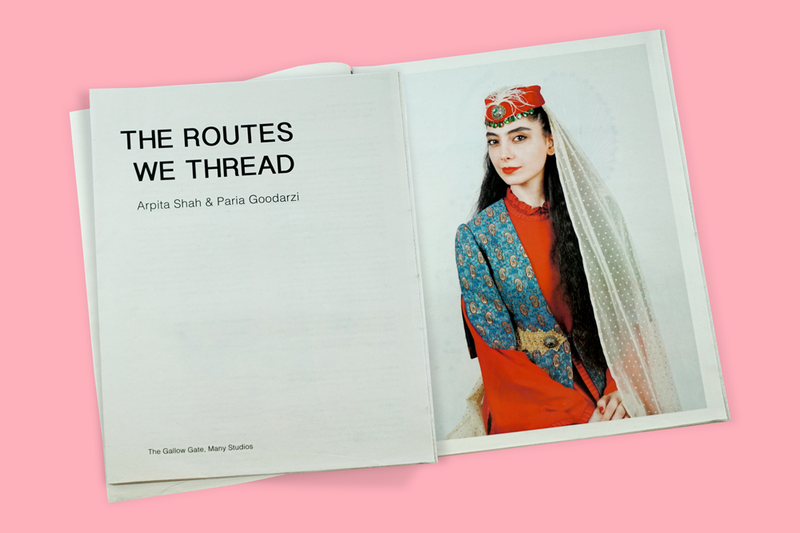 As part of The Routes We Thread exhibition, Many Studios published a newspaper of work from artists Arpita Shah and Paria Goodarzi. Made in collaboration with Scottish women from diverse backgrounds, the project uses photography and embroidery to explore "the complex layers of identity...and personal threads we carry around with us." Newspapers are great for doodling on, and we can't get enough of these charming designs from Ye Ji Jeon. "Colouring can give people a moment to pause in their life," says the California-based illustrator." It provides a source of meditation or relaxation." 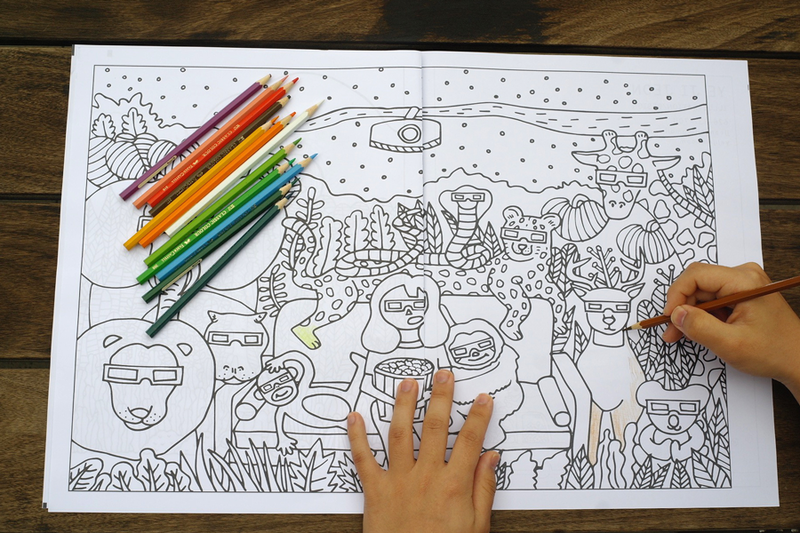 At 6 pages long, this colouring book would make for a perfect lunch break escape. We're seeing more and more newsprint photobooks, but this zine from photographer Rich Gilligan really stood out for its atmosphere. Produced in association with Carhartt WIP, Improper Slope documents the preparations for sculptor and skater Max Palmer's first exhibition. Gilligan says of the zine: "We didn't want it to feel too polished. At the same time, we wanted the work shine through in a hands-on, tactile way. We all couldn't be happier with the end result." 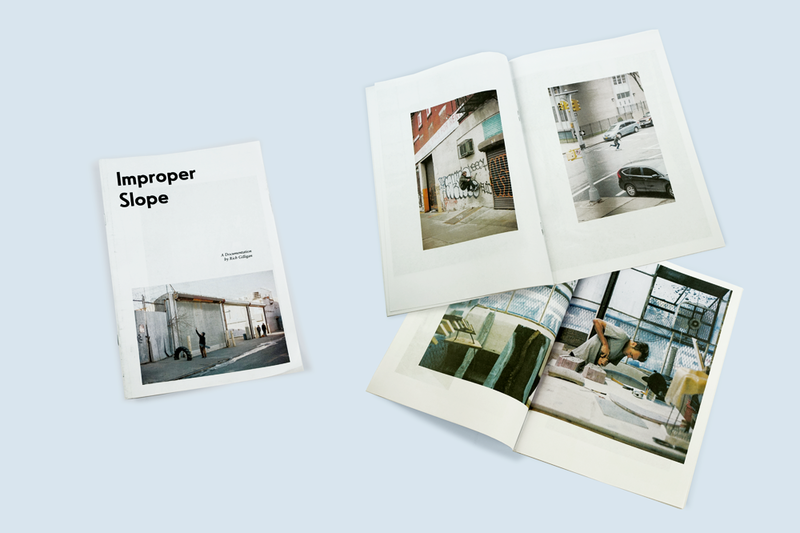 The Improper Slope exhibition opened 4 May in NYC. 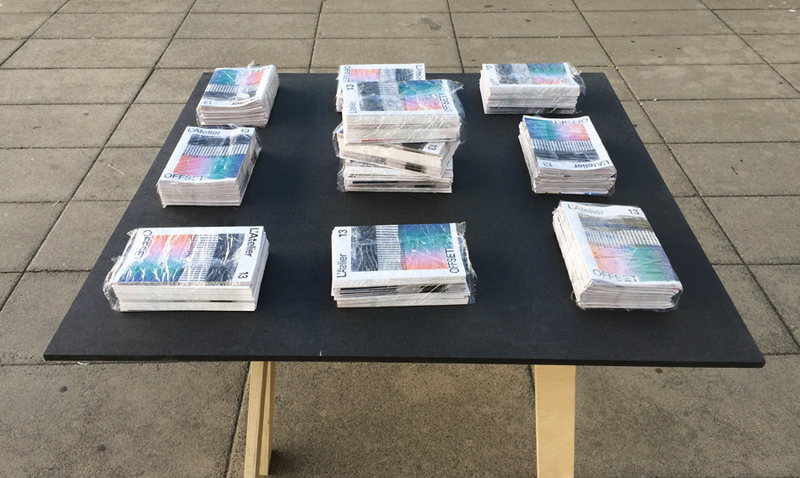 All 300 copies of the zine are hand-signed by Gilligan and Palmer – available from Palomino. 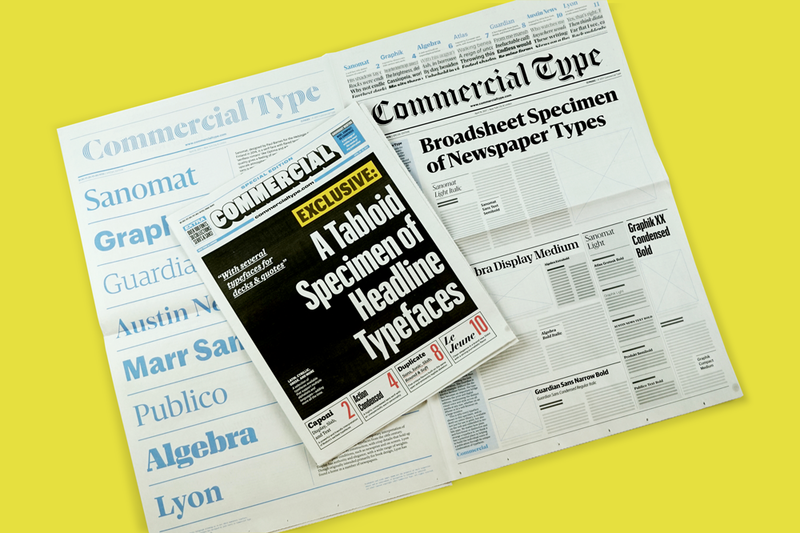 All the type that's fit to print. 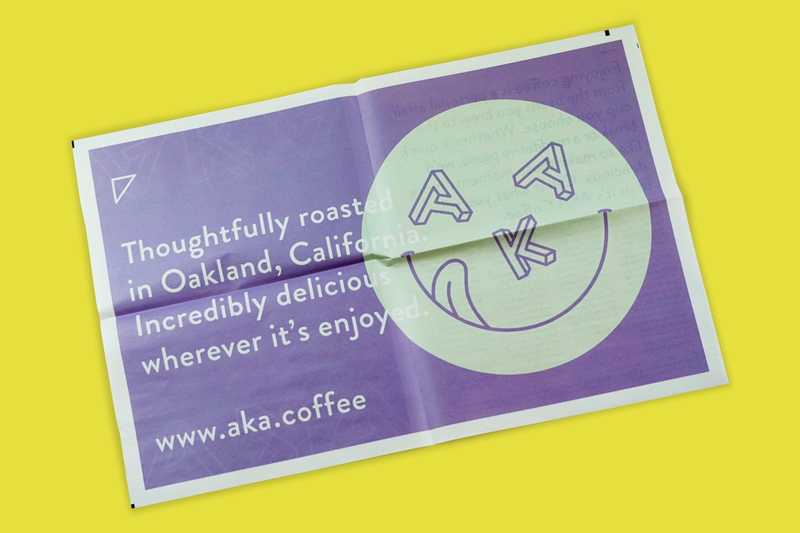 We love that Commercial Type referenced classic newspaper layouts with this new two-part type specimen, designed by Jack Curry. 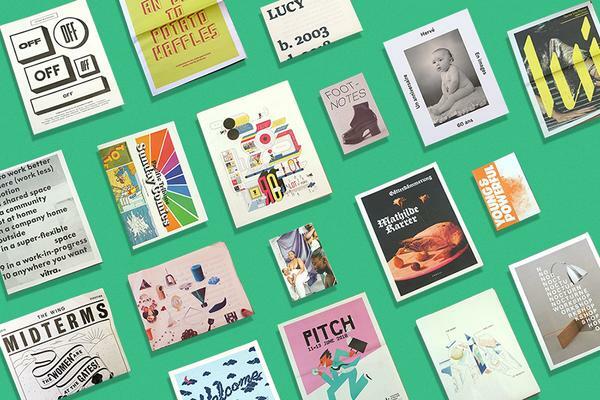 Printed for the Society for News Design conference in Charlotte, NC last month, it shows off the latest additions to their library plus some upcoming releases. 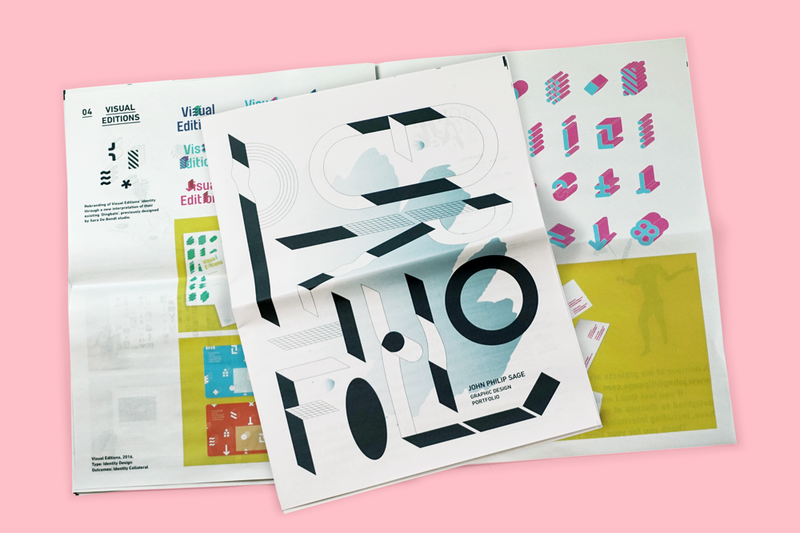 Grab a copy for free from the Commercial Type shop (just pay shipping). From creative agency Atelier Césure, a Brazilian fairytale illustrated by French artist Camille de Cussac. 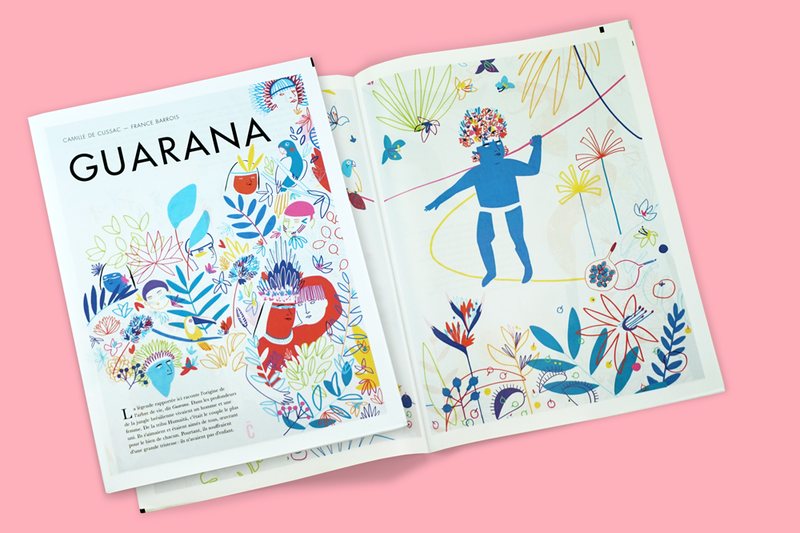 Guarana comes to life though Cussac's bright and expressive drawing style and the colours really pop on 90gsm paper. L’Atelier is the official journal of the Faculty of Architecture at the École Polytechnique Fédérale de Lausanne, Switzerland. Students, academics and other thinkers use the space to investigate arts, literature and, of course, architecture. A new issue comes out every semester, with a different theme each time. For the 13th edition of L’Atelier, 10 students from different years responded to the theme of "offset" – a word we're admittedly partial to. Newspapers are a quick, affordable way to share your work. 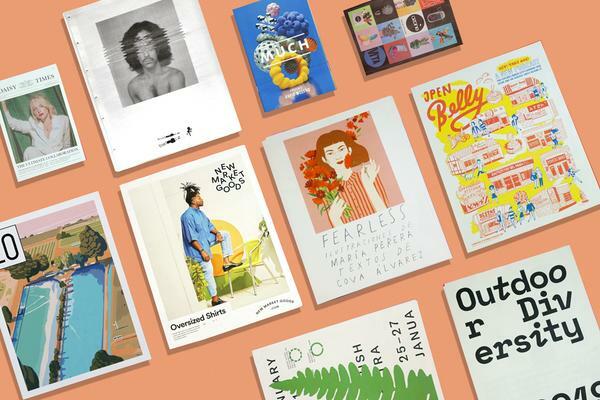 Designer John Phillip Sage chose 4 of his best projects to showcase in this tabloid portfolio, which he sent to his favourite studios in London. "It's been a very effective way of presenting my work and standing out from other applications," he told us. "I've had many replies and I'm having interviews in the next few weeks." Good luck! 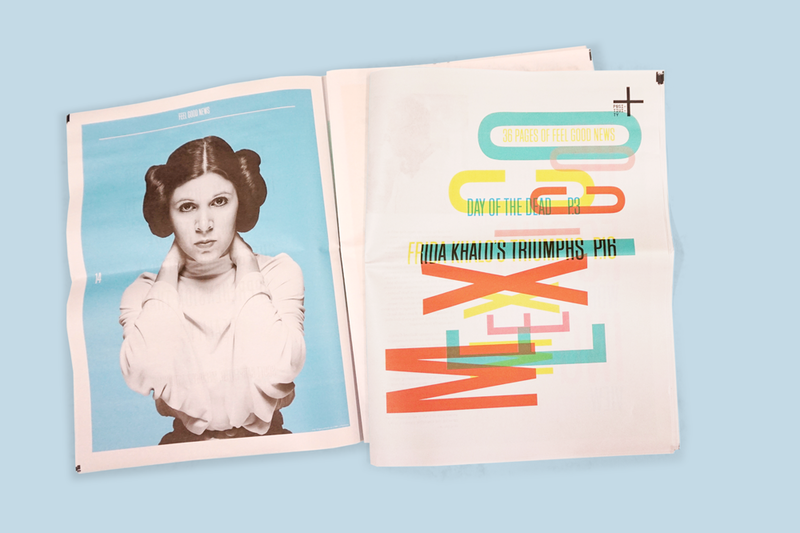 New York-based Playlab Inc. describe this double-sided newsprint poster simply as "a reminder." You can order a copy from their online shop – proceeds support the ACLU. 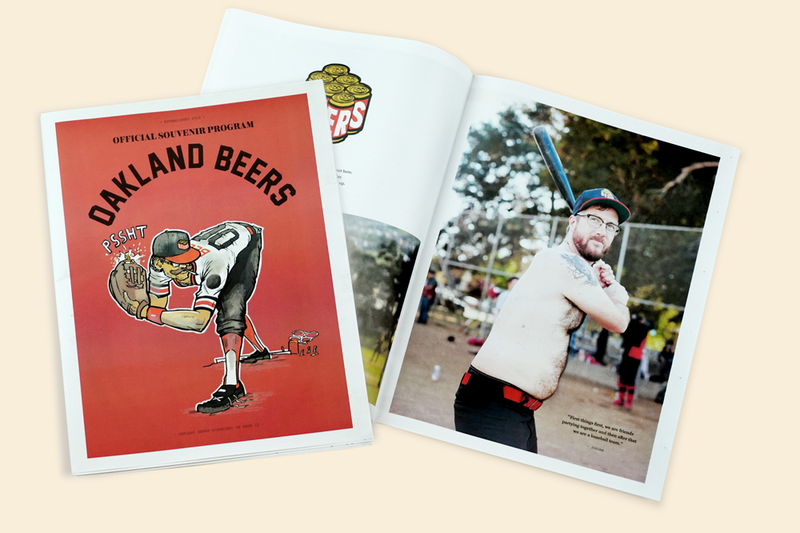 Photographer Steve Babuljak documents "a drinking team with a baseball problem" in his newsprint photozine Oakland Beers. He chose newsprint to keep the project a "loose and gritty with a yesteryear feel to it." 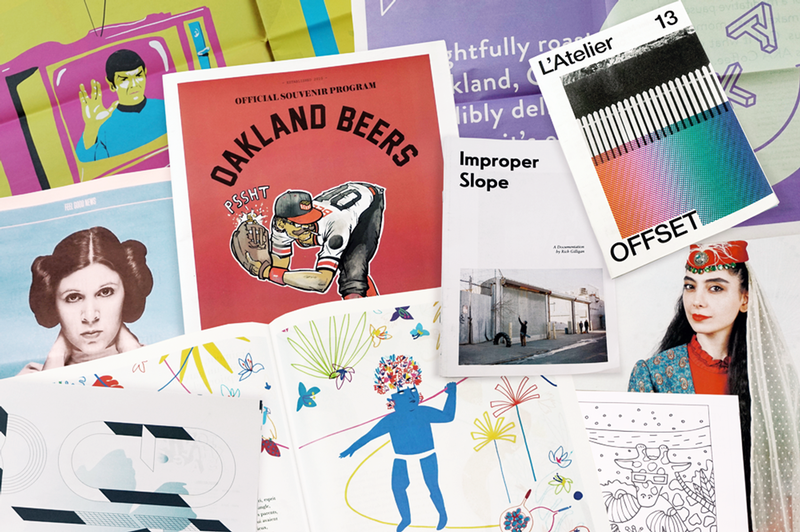 Babuljak, whose commercial clients include Chevron and McGraw Hill, says personal projects like Oakland Beers are an opportunity "to really work out [my] style and ideas without any constraints." Shout out to illustrator Leo Zarosinski for that home run of a cover. 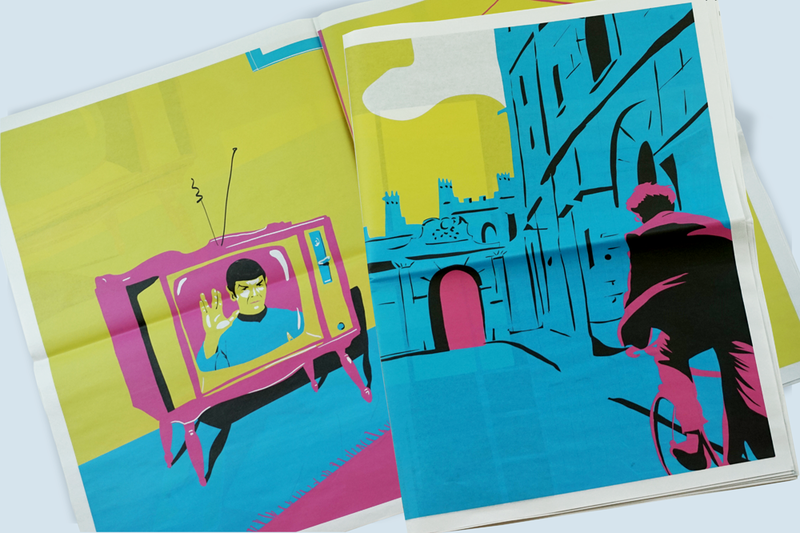 Rounding out our roundup with this lovely project from first year BA Graphic Design students at Edinburgh Napier University. They created a "global library of goodwill" by printing a series of newspapers, each one highlighting uplifting news from a different country, from Argentina to Malaysia to Greece. "We wanted to shatter the belief that only bad news sells," says student Andrew Mcalinney, who focused his newspaper (pictured above) on Mexico. "With it being exam time, students really gravitated to the exhibition and many said they left with a more optimistic outlook on their day." 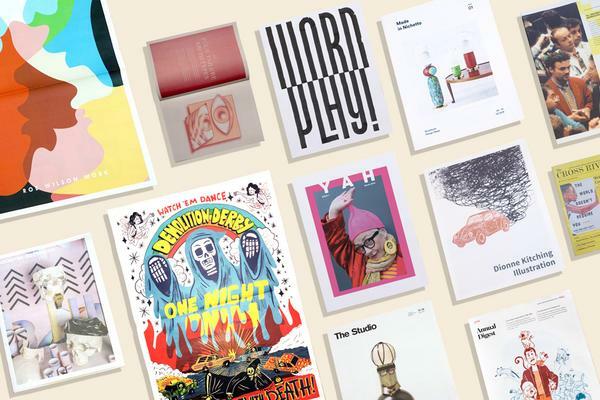 We'd love to help you get your ideas into print. The best place to get started: free samples!